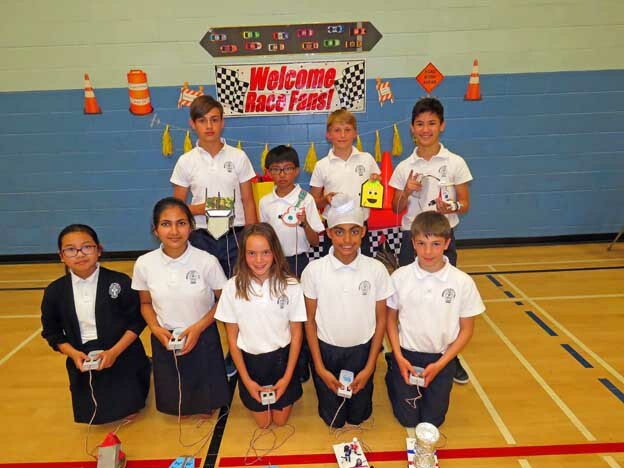 On Thursday, June 7th, the students and staff of IHMS went down to the gym to watch a group of grade 6 students race battery operated vehicles (called “Robo Critters”) around a predetermined track set up on the gym floor. These vehicles were made about a week earlier from a kit that required assembly (each grade 6 student paid $12.00 for their kit). Mrs. Tycholis, the school’s Guidance Councellor, brought in an instructors to explain the process of building a Robo Critter to the students. The students spent a few days practicing how to operate their vehicles, and on Thursday June 7, a few of the better students raced their vehicles against each other to determine an ultimate classroom winner. The top racers from grade 6 posing with last year’s champion Stefan D. (top photo). 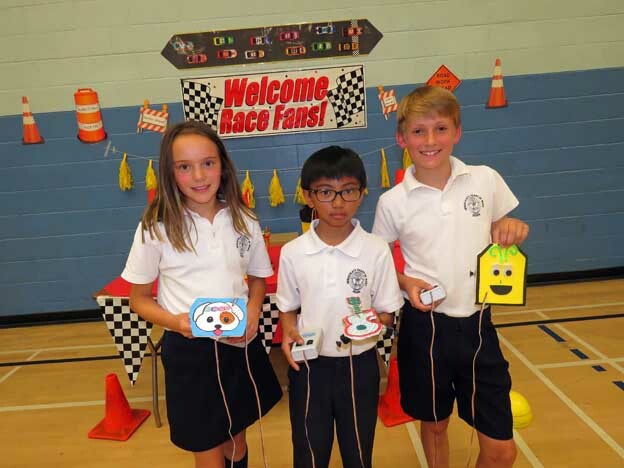 The bottom photo shows the top three racers for this year’s grade 6 class. The winners from right to left are Julian B. (first), Jacob J. (second), and Kennedy S. (third).